From the Smithsonian Institution’s Archives of American Art, here is rare and restored footage of 1930’s Mexico, filmed by expatriate artists Stefan Hirsch and Elsa Rogo while they were living in Taxco, Guerrero, Mexico and visiting Tehuantepec, Oaxaca. 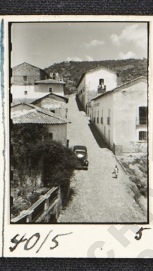 Thanks to Patricia Thompson, a Oaxaca Cultural Navigator blog follower for bringing A rare delight: Mexican home movies from the 1930’s to my attention. The film footage (a bit over 33 minutes) and accompanying article are so wonderful, I want to pass it on to you to enjoy as part of Mexican cultural history. Several of the nine film clips are in color, unusual for home movies at the time. The movies are part of a collection that includes correspondence, writings, art work, photographs, printed material and financial and legal records that document the artistic, teaching, and journalism careers of husband and wife Stephan Hirsch and Elsa Rogo. To put the footage in context, during the era that Hirsch and Rogo filmed, Frida Kahlo and Diego Rivera were living and working in Mexico City, and the Fred Davis and William Spratling silversmith workshops were active and training the next generation of master Mexican silversmiths in Taxco. At the same time, Lazaro Cardenas was elected president of Mexico. Cardenas instituted sweeping land reforms turning over control of agricultural land to peasants, and established state ownership of the petroleum industry removing American corporate ownership of the national resource. If you see something in the news that you think would be of interest to our readers, please let me know so I can share it! And, we have TWO SPACES LEFT in our Day of the Dead Photography Expedition starting October 28. Come along. And, just in from fellow blogger Shannon Pixley Sheppard on Oaxaca’s latest archeological discovery, burial remains in Santa Maria Atzompa. So much to love about Mexico! This entry was posted in Cultural Commentary, Oaxaca Mexico art and culture, Photography and tagged blogsherpa, documentary, Film, Mexico, Oaxaca, photography. Bookmark the permalink.